Lyman House provides gentle, loving, individualized care. The care giver/resident ratio far exceeds other facilities, giving much more personal quality care. The webcam is also very reassuring for family members. Our family, friends, and my husband and me could not be happier with his care, food, and attention. The care at Lyman House is excellent. The residents are treated with respect and dignity. 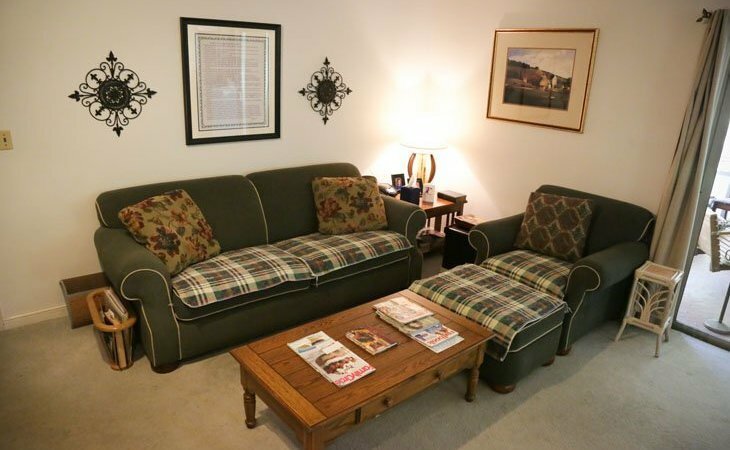 You can see how the residents are loved by the care givers and this provides peace of mind. Knowing that youjr loved is being well cared for and in a safe environment is priceless! You can expect a high level of care and attention in this wonderful home. The standard of care is excellent and individualized to every resident. Our mother has done very well while living at The Lyman House. We are very thankful to Cathy and her staff for providing such a warm and inviting atmosphere for our loved one. My 91 y/o mother is a current resident of Lyman House, part of the Almost Home Group. She loves living there, and really likes the staff. She's pretty high functioning in terms of memory, but has limited mobility. The staff engages her, and works with the residents to make sure they receive first class care. My wife and I visited many, many places where we might have placed my mom, and found the caring staff and residential atmosphere to be exactly what we were looking for for our loved one. My dad has been at the Lyman House for 5 months. They have been a blessing. We have been most impressed that they are realistic about his needs and they are loving and creative in their care. The Lyman House made a wonderful and loving home for my mother in her last few years. She had transitioned through a couple of assisted living/memory care units prior to living at The Lyman House and her care at Lyman was second to none. I only wish I had found them sooner. It really feels like you are visiting loved ones in their home rather than an assisted living facility. The staff is so dedicated and caring and I always had peace of mind knowing my mother was safe, clean, cared for and loved when I couldn't be with her. When my mother-in-law moved into the Lyman House, we knew that she was home. She was welcomed as a member of the family with love and affection and her arrival was treated as a celebration. Her room was decorated beautifully, and the staff, "angels", were very kind and accommodating to her and our family in every way. Kathy Hatfield's Almost Home Group is a blessing in our lives at a time when we were searching for the perfect home for mom. I love this place! Lyman House is a safe and friendly environment for my husband. It is one of three houses. Each has room for 6 residents. The small size makes it very homelike. My husband enjoys the food. The caregivers are the greatest! Almost Home is great. They take wonderful care of my mom, who has Alzheimer's. The caregivers and Kathy are the best. They truly love each resident and provide a loving home environment so much nicer than an institutional type of assisted living with homemade meals and activities to stimulate them. I am very grateful to Almost Home! The Lyman House (by The Almost Home Group) is a lovely 1950's brick ranch nestled in one of the premier neighborhoods in Thomasville, Wallcliff Park. Our residents are ladies who have some type of memory loss and need assistance with Activities of Daily Living. The Lyman House has two (2) caregivers for 6 residents and we also have a chef, RN, and NCCAP certified Activity Professional on staff. The Lyman House is a small home that offers a great alternative to large nursing homes or locked Alzheimer's units. Each resident is cared for commensurate to her individual needs. What should caregivers and potential residents know about The Lyman House?